WHERE? At WHAT resolution?!!! And WHEN?!!!! Answers: Australia. 7200x1200. 3 weeks. Of course, we jumped on it. 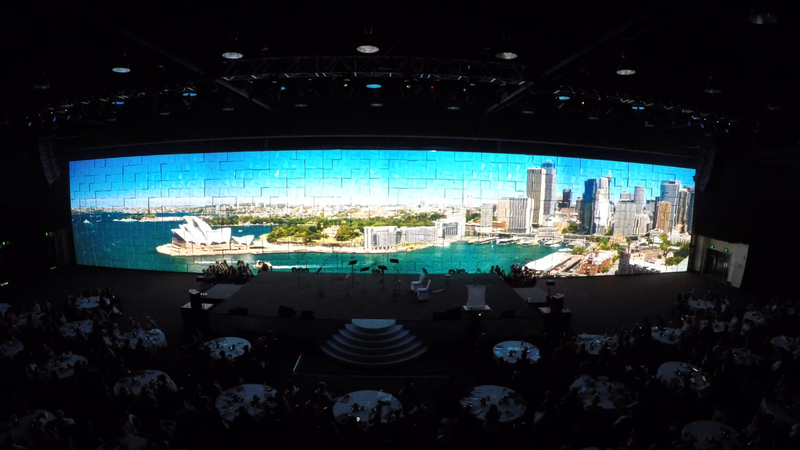 Backdrops Fantastic Australia hired us to create content for a massive tile structure, made up of 1100 modular tiles. And a 7200x1200 resolution, well, let's just say that's more than 4k, folks. And with a 3-week deadline, we kept the render farm pretty busy.